Good for another 80 years (dependent on wear & tear of course) This particular house was built in the late 20s to early 30s (80-90 years ago). The porch sloped toward the house and over time caused some water damage and termite damage as well. 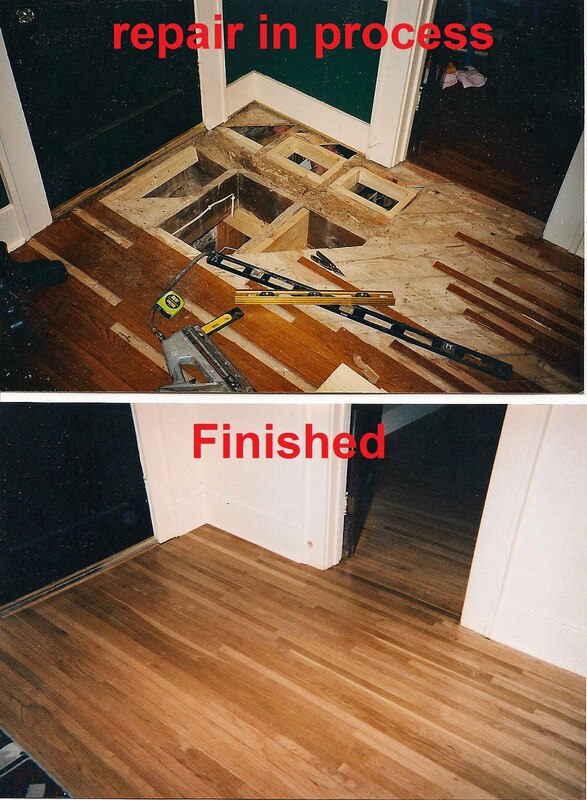 The hardwood and subflooring were ruined. After demo and repair of the supporting structure I custom milled tongue and groove oak flooring that I had salvaged from a farmhouse (this particular board size is not commercially available). Installed the flooring and refinished the floor. If you need hardwood flooring installed, please call me. I love doing it and I'm very good at it.